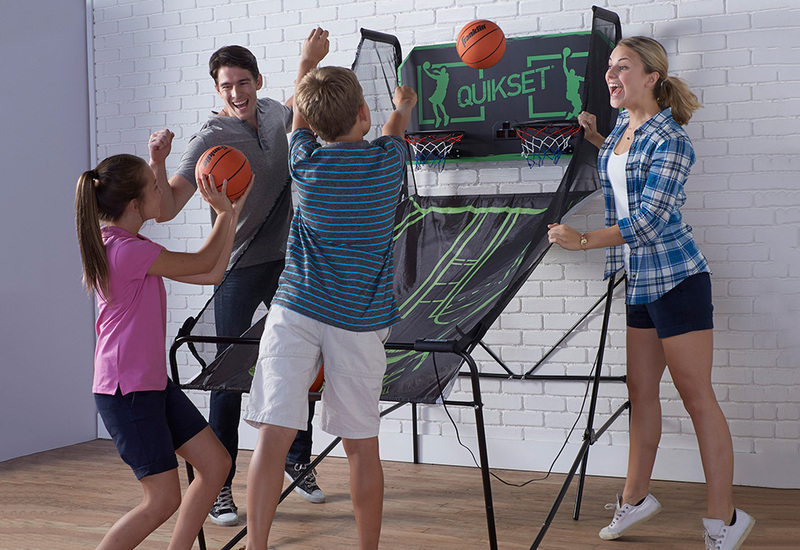 Get your fix of basketball action with Foldaway Arcade Basketball. 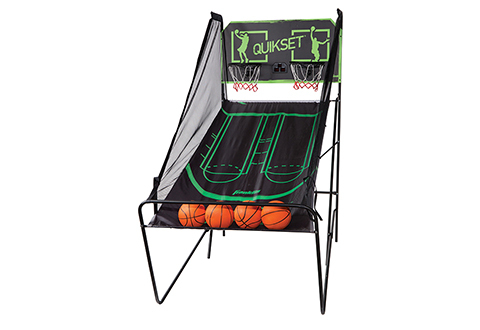 This full-size game features side-by-side nets plus electronic scoring for real buzzer-beating excitement. Select one of 8 different shootouts, including Horse, Around the World and Beat the Time Clock — and let the madness begin! 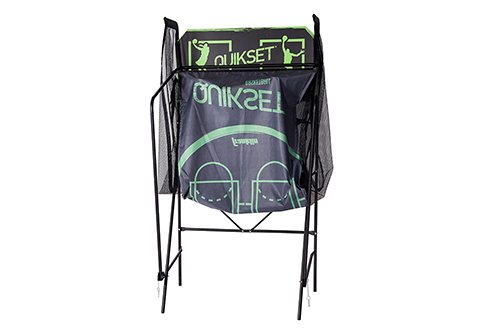 When the game is over, the ball return folds in half, leaving a small (40” x 43”) footprint. 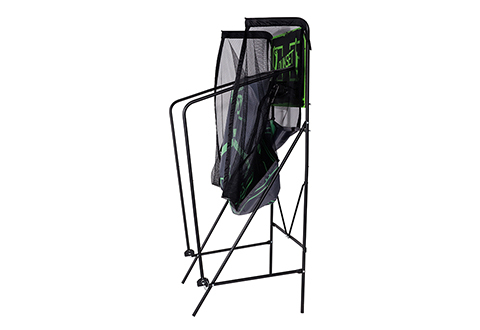 Includes 4 mini basketballs. For 1 to 4 players. Assembly required. Foldaway Arcade Basketball is the full-size game loved by kids and adults. Save your tokens... and host your own hoops tournament at home!